31. What are custom controllers? 32. How can standardcontroller functionality be extended? Ans - This can be done using associating a class using extensions. 33. Can a visualforce have more than one extenssions? Ans - Yes, a standard controller can have more than one extension. 34. How can you place an entire visualforce page in another visualforce page? Ans - This can be done using attribute include. We have to just specify the name of the visualforce page and include this attribute in our visualforce page. 35. 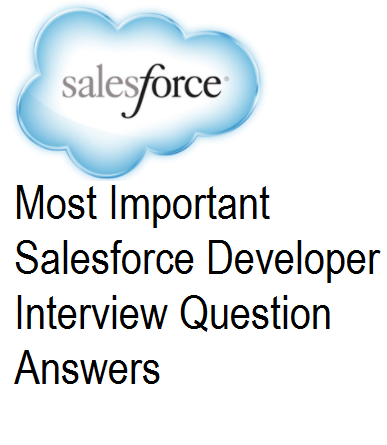 What are various standard exceptions that salesforce throws? 36. What is the significance of profile?